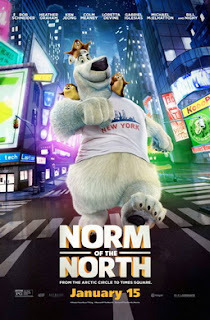 If the theory that Hell is a frozen wasteland is true, then chances are it probably looks a lot like “Norm of the North.” What a miserable, pathetic excuse for a movie this is. I have to see lots of kid’s movies every year, and every time I go to one I just hope that is has some actual value on some level, whether it be animation, characters, story, humor…whatever. This - thing- is every critic’s worst nightmare. Literally, I have nightmares about movies that are this bad because you can’t leave or do anything about them. It’s not only that “Norm of the North” is bad, but it’s bad in such a boring, lethargic way that brings into question whether or not the animators were tortured in the making of it. I know watching and writing about movies is not usually the most difficult thing to do in the world, but sitting through this was work. 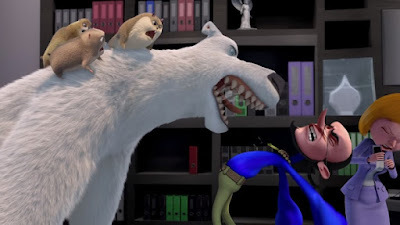 The story for this - thing – involves a polar bear named Norm (Rob Schneider…yes, really, that’s who they hired to headline this…thing), who is the laughing stock of all the animals in the Arctic because he is a terrible hunter. Every day he goes out to hunt for animals and never catches any. 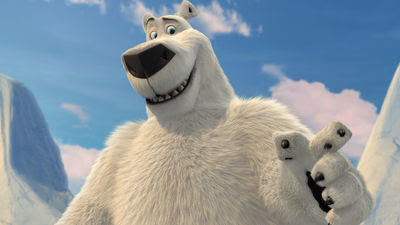 When he does, instead of eating them like real polar bears would, he just lets them go (what he eats if he lets his prey go is not made clear). He is the son of the Arctic’s king and has the rare gift of being able to speak to humans (why this is also isn’t made clear). Rather than be amazed by this talent, the animals make fun of Norm for being a worthless creature and waste of existence, which is ironic because that’s how I feel about this…thing. Norm’s gift may yet become valuable when he discovers that humans are planning to build houses in the Arctic. 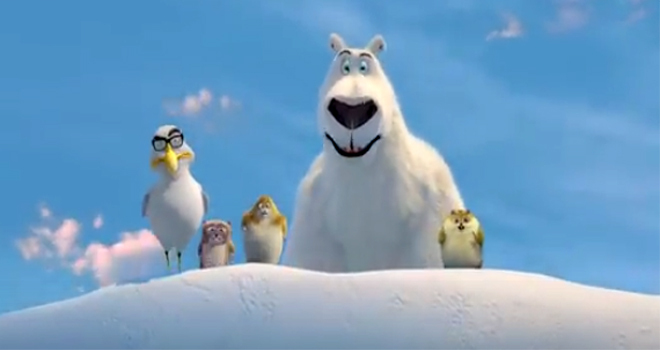 Since he is the only animal that can speak the human language (or English), he sneaks aboard a boat and heads to New York City, with the ultimate goal being to use the Arctic to save the Arctic. Before we even get to New York the movie is already an idiot plot running on fumes. How can Norm speak English? How does he eat if he can’t hunt? 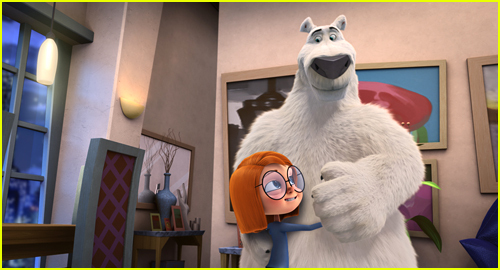 Why does his female polar bear friend like him? Why do all the animals know what phones, Broadway, and electricity are (and why does the local bird wear glasses)? For that matter, the biggest problem I had was that humans would even consider building houses in the Arctic. Who would live in them? Not only is the Arctic a miserable place to live, humans can’t survive there its too cold to do basic things like grow food. Oh, there’s also that whole global warming thing that is causing the ice to melt so…yeah, probably not the best real estate these days. When Norm does get to New York he works with a realtor to try and become a viral sensation so he can announce to the world what building homes in the Arctic will do and…you know, now that I sit here and think about it, this – thing – has a much more complicated story than it needs to. I’m impressed that so much thought went into this – thing – without there being any kind of satisfying entertainment to come from it. It’s like the producers pulled all the worst traits from animation and put them into one film.